Georgia Bio will honor Emory bioscience administrators and entrepreneurs, a physician/researcher and a graduate student at its annual Industry Growth Awards ceremony Jan. 23 at the Fox Theatre. David Perryman, COO of Drug Innovation Ventures at Emory (DRIVE), will receive the 2014 Georgia Bio Industry Growth Award – Georgia Bio's highest honor, along with David Hartnett, vice president of economic development for the Metro Atlanta Chamber. Perryman is being honored as a successful entrepreneur, attorney and leader of Georgia’s bioscience community. DRIVE is an innovative non-for-profit biotechnology company that seeks to change the development of university-based therapeutics. Prior to DRIVE, Perryman was CEO and a founder of Zirus, Inc., a biotech company focused on the host genetics of infectious diseases. Prior to Zirus, he was head of the biotechnology patent group at the intellectual property firm, Needle & Rosenberg, as it grew to national prominence. 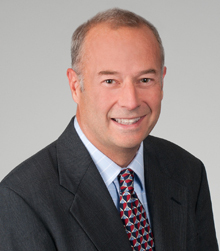 Perryman has co-managed the strategy of several successful multi-million dollar biotech patent litigations, was a co-founder and an advisor for Georgia Venture Partners, Inc., and was a founder and a board member of Maxia Pharmaceuticals, as well as several other biotechnology companies. His contributions have made a transformative difference within Georgia’s life science industry. Todd Sherer, PhD, associate vice president for research administration and executive director of Emory’s Office of Technology Transfer, will receive a Georgia Bio Community Award for significant contributions to Georgia’s life sciences industry. Ami Klin, PhD, director of the Marcus Autism Center, chief of the Division of Autism & Related Disorders in the Department of Pediatrics at Emory University School of Medicine, and a Georgia Research Alliance Eminent Scholar will receive a Georgia Bio Innovation Award. Dana Fallaize, a graduate student in Emory’s Microbiology and Molecular Genetics program and an intern in the Office of Technology Transfer, will receive the Georgia Bio Emerging Leader of the Year Award. The Emerging Leader of the Year award honors young professionals for outstanding contributions to the success of the Emerging Leaders Network (ELN) and the growth of Georgia’s life sciences community. Clearside Biomedical, Inc., a biotech startup company based on research from the laboratories of Henry Edelhauser, PhD, at Emory University and Mark Prausnitz, PhD, at Georgia Institute of Technology, will receive a Georgia Bio Deal of the Year Award for nearly $8 million received from investors as it prepares for late-stage clinical trials on a novel injection technique for retinal diseases.